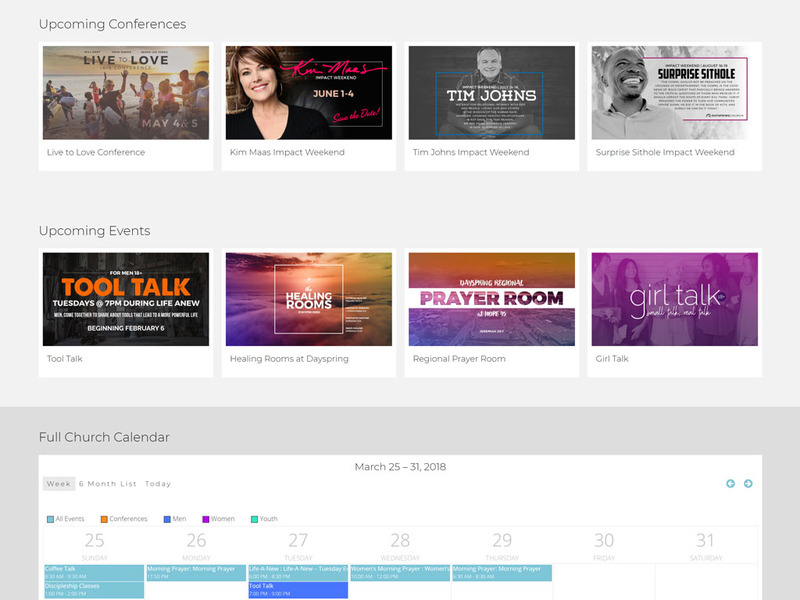  Dayspring Church had an existing WordPress website but was experiencing issues with a theme and design that relied heavily on 3rd party plugins that often conflicted with one another leading to a website that was not dependable. 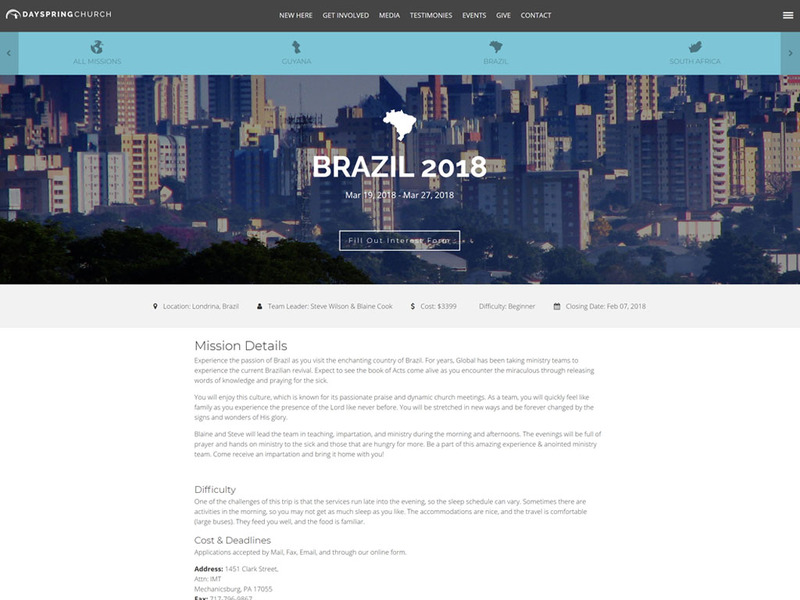 In addition, they were not happy with the overall design, functionality and user experience of the current site. 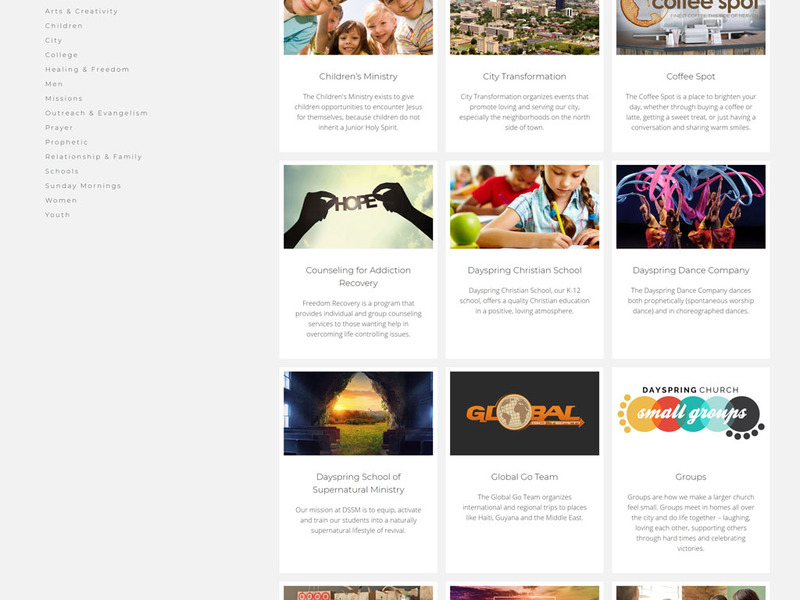 The church has a wide range of ministries, programs and roles that required significant research to bring the overall organization of the site together. 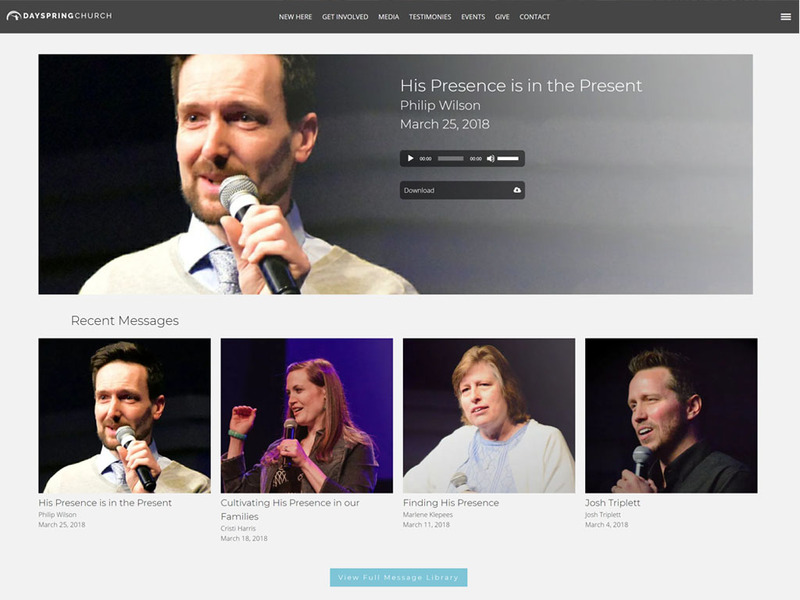 We started by building the functionality through custom plugins that Dayspring requested to be built into the site and then we built a custom design on top of that. 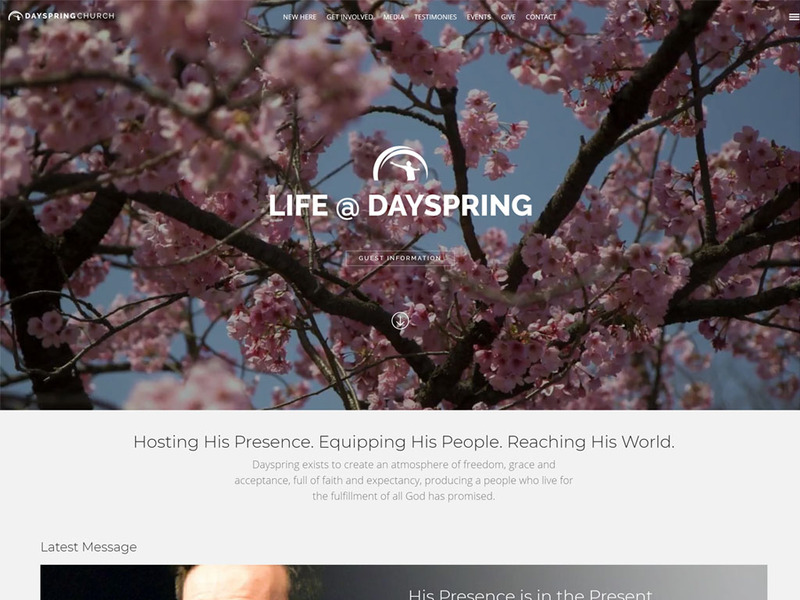 The results are a 100% custom website designed specifically to fit the needs of Dayspring Church.